Take I-17 north toward Flagstaff 98.4 miles. Take exit 298 and turn left onto Highway 179. Travel on Highway 179 14.2 miles to Highway 89A. The intersection of Highway 179 and Highway 89A is known as the “Y”. Many Sedona attractions, shopping, lodging and other business refer to the “Y” as a point of reference. Alternatively, if you are staying in West Sedona or if traffic necessitates, you can approach Sedona via Cottonwood. Take I-17 north toward Flagstaff 87 miles. At Camp Verde, take exit 287 for Highway 260 west toward Arizona 89A/Cottonwood. Follow Highway 260 12.4 miles. Turn right onto Highway 89A N and continue 18.5 miles into Sedona. If the weather is good, begin taking I-17 south from Flagstaff. Just 2 miles south of the junction of I-40 and I-17, exit at Highway 89A (exit 337). This takes you on a breathtaking 25 mile drive through Oak Creek Canyon. If it is snowing, take I-17 south from Flagstaff about 41 miles to State Highway 179. From there, go about 15 miles north on Highway 179 and you will enter Sedona. This route takes about an hour from Flagstaff to Sedona. Take Highway 89A to I-17 N to I-40 W. Take I-40 west toward Williams to Highway 64. Take Highway 64 north directly to the main entrance to the South Rim of Grand Canyon National Park. Take Highway 89A to I-17 N to Flagstaff. Take Highway 180 west to Highway 64. Take Highway 64 north directly to the main entrance to the South Rim of Grand Canyon National Park. Take Highway 89A to I-17 N to Flagstaff. Take Highway 89 north to Highway 64. Take Highway 64 west to the East Entrance of the South Rim of Grand Canyon National Park, known as Desert View. Take Highway 64 south to I-40 East. Take I-40 East to Flagstaff. Take I-17 south from Flagstaff to either A) exit 337 to Sedona via Highway 89A through Oak Creek Canyon or B) to Highway 179 to Sedona (see directions from Flagstaff). Take Highway 89A to I-17 toward Flagstaff and then take I-40 east toward Kingman. Take exit 51 for Stockton Hill Road. Turn right at Stockton Hill Rd and continue 41.5 miles. Turn right at Pierce Ferry Road. Continue onto Diamond Bar Road. Turn left to stay on Diamond Bar Road. Continue straight onto Buck and Doe Road. Destination, the parking lot at Grand Canyon West Airport, will be on the right. Take I-515/US-93/US-95 toward Henderson. Take Highway 93 south to I-40. Take I-40 east to Flagstaff. Take I-17 south from Flagstaff to either A) the exit 337 through to Sedona via Oak Creek Canyon or B) to Highway 179 to Sedona (see directions from Flagstaff). Take I-10 East to Phoenix. Take Loop 101 north to I-17 north toward Flagstaff. Take exit 298 and turn left onto Highway 179. Travel on Highway 179 14.2 miles to Highway 89A. A Spa for You, Sedona's premiere Boutique Day Spa offers completely individualized signature spa treatments, massage, body wraps and traditional Japanese facial massage each designed to rekindle, nurture and balance your body's own natural healing rhythms. Licensed, individually trained massage therapists, Lafemation pure botanical body and skin care products, world class modalities and superior healing therapies brought together with one intent: to relax, restore and rejuvenate your body, mind and spirit. 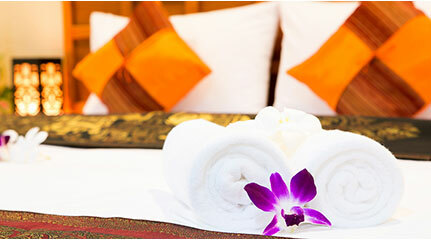 For singles and couples in spa or in the comfort of your suite. Take a Hike! The Sedona Hiking App currently has over 110 trails, over four hundred miles of trail documented and available in the App. You can follow your location in real time and always know where you are on the trail. Visit and explore www.SedonaHikingApp.com for trail listings and hike highlights with pictures from the trails. Here's how it works: After you decide on the trails you'd like to experience, download the trails onto your device (with a network connection) and 'select' them as you do the hike. Click 'Take a Hike' to see the map. Everything you need is in each hike package, including driving directions This really is hiking for everyone. Easy, moderate, and hard day hikes to enjoy the grandeur of Sedona! Check out our new Discovering Sedona Landmarks app! Why stay at the Cozy Cactus? Mark, the “Muffin Czar” of course. Well, and the billion $ view (a million isn’t what it used to be), the King beds (we all aren’t what we used to be), the hiking trails from the patio, the tasty/3-course/non-frilly breakfast and you’ll meet other fun “Worldly” guests! A magical location, stunning landscape with sweeping vistas: Hilton Sedona at Bell Rock is your ideal home for adventure in red rock country. With a recent multi-million dollar renovation our refreshed resort features 221 modern guest rooms and suites, all with fireplace, patio or balcony, and mini kitchenette. Enjoy the full service spa, athletic club with fitness classes, two swimming pools and 18-hole championship golf course. Im a natural born psychic who has had the ability to psychically see, hear and sense for as far back as I can remember. Being born gifted with the ability to naturally sense & experience the world of energy & spirit, my dedication to my path of awakening began as a young child. I have studied with many master spiritual teachers throughout my life, spanning many spiritual philosophies and traditions including the teachings of Don Miguel Ruiz, Deepak Chopra, Paramahansa Yogananda, Greg Braden, Ted Andrews, Hamza Yusuf, Ihsan Torabi and many others. Ive been living and working in Sedona, AZ for the past 15 years of my 32 year career as a professional psychic and have an excellent reputation for accuracy, insightfulness and Integrity. I can look into all matters and love offering spiritual insight and soul coaching based on what I see psychically for you. If you feel a connection with me, then i invite you to reach out. World's Largest and Most Experienced Helicopter Sightseeing Company! Daily multilingual tours of Grand Canyon departing from Sedona, Scottsdale, Phoenix, Grand Canyon, Grand Canyon West and Las Vegas. Choose from a variety of Air Tours, River Rafting, Weddings including Grand Canyon hotels, IMAX attractions, or even fly the Vegas strip by night. Hang on tight for a fun-filled adventure that leads you on and over the red rocks in a cutting edge Jeep Wrangler, while the magnificent canyon walls surround you. You’ll be awestruck by the natural splendor and thrilled as your guide expertly navigates you down iconic red rock trails. Choose from over 15 adventure tours or go with Sedona’s most popular tour for nearly 60 years, The Broken Arrow Tour, exclusively offered by Pink Jeep Tours. Escape to Oak Creek Canyon among the red rocks and tranquility of Oak Creek. We are the perfect couple's getaway with in-room fireplaces and jetted Jacuzzis. Made to order for honeymoons and anniversaries, this Sedona, Arizona resort also offers great family fun by the creek in double hammocks, swings, barbecues, and picnic areas. Cabins, bungalows, and family units available. Come stay with us! Enjoy bedside views of the Red Rocks of Sedona by Bell Rock and Courthouse Butte. Sedona bed and breakfast fare includes full gourmet breakfasts, an afternoon appetizer hour, and evening coffee, teas, and dessert. Bask by the solar pool on warm summer days, and stargaze clear evening skies by an outdoor fire as the weather gets cooler. Come see Tiger Splash show at 1:15 every day. Watch Bengal tigers in natural play as they "hunt" their caretakers. Open Daily 9:30 a.m.-5:00 p.m. Just 40 minutes from Sedona. Our family-owned and operated inn feels different from other Sedona hotels because it is. When you're here, you’ll experience the comfort and convenience that you're used to in your own home. With our very own pet-friendly park, sparkling pool, and fitness center, many of our guests enjoy spending part of their Sedona vacation relaxing with us. With a country inn atmosphere, and bed and breakfast feel, each of the 42 traditional rooms and 47 spacious suites offer comfortable accommodations. All our rooms include complimentary WiFi and a hot breakfast bar to get your day started! Your four-legged family members will love our grassy outside play area with a barbeque and fire-pit. 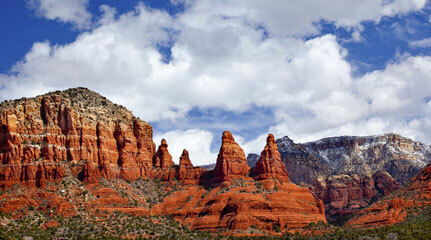 The concierge is on-site daily to share the best things to do in Sedona. Drive our ATVs on a guided 40 mile off-road adventure through the West Sedona Valley. Bring your camera - you'll be awestruck by the 800 foot high view from atop Skeleton Bone Mountain. This is way more fun than riding in a jeep! All ages and skill levels are welcome. This Sedona lodging choice is AAA rated 4-Diamond and recommended by Fodors. You'll experience the warmth of staying with good friends, along with all the comforts of a fine Sedona hotel. Spacious rooms offer: king bed, two person jetted tub, fireplace, private entrance, and patio. Delicious gourmet breakfast and appetizers served each day. Enhance your visit to the spectacular Red Rock country by staying at this luxurious and romantic Sedona bed and breakfast inn. Junipine Resort is the perfect location for small business meetings or a family vacation. Our secluded creekside setting is the perfect retreat from the hectic pace of our every day world. Enjoy coffee on your private Sedona, Arizona hotel room patio watching the sunrise over the Red Rocks. Slide Rock State Park is adjacent to our resort, and Sedona is just 8 miles away. Your unforgettable Sedona experience must include spending time at internationally renowned Tlaquepaque (pronounced Tla-keh-pah-keh), Sedona Arizona's Arts & Crafts Village. Tlaquapaque treats visitors to an exceptional collection of Sedona art galleries and shops bordered by four outstanding restaurants including a micro-brewery. You'll want to return to this epicenter of Sedona shopping and activities again and again - to look and wander, to sample and buy, to eat, drink and refresh body and soul. We also serve as an intimate and beautiful wedding venue. Enjoy our Sedona views extending up to 75 miles in all directions. Sedona sunrises and sunsets fill the skies daily with breathtaking color. By night the lights of Sedona shine below. This unique Sedona, Arizona hotel offers affordable rooms, pool, spa, and beautiful gardens. The Briar Patch Inn features 19 cabins situated on 9 lush acres in Oak Creek Canyon, just 3 miles north of Sedona. Each individual cabin is are dressed in distinctly different southwestern decor. The lush grounds - home to wildlife, birds and two resident sheep - showcase rambling walking paths, canyon oaks, giant pines and ancient sycamores. Healthy, bountiful, homemade breakfasts are offered by the creek in spring and summer and by the lodge fireplaces in fall and winter. An attentive, longtime staff strive to provide a quality of fine service that is the hallmark of this "magical" sanctuary. A Fodor’s Choice and a Frommer's favorite. The Butterfly Garden Inn, formerly Don Hoel's cabins, is the perfect destination for individuals, families, and retreat groups who want to relax, unwind, and find refuge from the stress of everyday life. Situated 10 miles north of Sedona in the heart of the Oak Creek Canyon, our tranquil inn has 20 charming cabins ranging from one to three bedrooms with full kitchens. Luxurious AAA 4 Diamond Sedona, Arizona bed and breakfast with 850 + sq ft villas, red rock views, two fireplaces, jetted tub, walk in shower, three-course breakfast, private entrances, high speed internet, garden patios or balcony, pool, and an in-ground jetted spa. Relax and unwind with a private couples spa and personal chef for private dinners. The Southwest Inn at Sedona, Arizona offers casual lodging with upscale amenities found in many Small Elegant Hotels, and the personal attention found in many Bed and Breakfasts. This TripAdvisor Excellence Award winning hotel offers amazing views of the Boynton Canyon, Coffee pot & Thunder mountains. The Boynton Canyon Vortex offers visitors awe-inspiring views and an opportunity to experience the healing energy of the earth. So close to the Southwest Inn, it’s quite possible that you’ll feel the power of this vortex while you are relaxing on the private patio of our first floor king rooms. Choose one of over 100 hotels and resorts in Sedona. Don't be overwhelmed by the choices; there's one just right for you.